Need a Vehicle Will Not Start Inspection? How much does a Vehicle Will Not Start Inspection Cost? There’s nothing worse than jumping in your car when you’re in a hurry, turning the key in the ignition and nothing happening. Having a vehicle that won’t start can be attributed to many components not working correctly, and will need to be inspected to correctly diagnose and rectify the issue to get you back on the road as soon as possible. There are a number of issues that will make a vehicle not start, ranging from electrical problems to a failure in the fuel system or an issue with the starter motor or battery. On the modern vehicle, there are a number of components that are required to get the engine up and running when you turn the key. The starter motor, battery and engine control unit (ECU) turn the engine and fire the fuel injectors and spark plugs (on a petrol engine) which ignites the mixture inside the cylinders and provides the power to move the vehicle. The fuel pump provides the fuel from the fuel tank and the camshaft and crankshaft sensors provide the internal engine component location to the ECU to ensure the fuel and spark are ignited at the correct time for optimal engine performance. Low battery voltage or failed battery: The starter motor and ECU require proper battery voltage to operate correctly, and a low voltage or failed battery will prevent a vehicle from starting. This is one of the most common reasons for a vehicle to not start, and should be the first component checked. Failed starter motor: The starter motor draws current from the battery to spin the engine over when the ignition is switched on. If the solenoid or ring gear fail on the starter motor, it will not be able to turn the engine over and the vehicle will not start. A failed starter motor often gives off a ‘clicking’ noise when the key is turned. Loose or corroded battery terminals: Loose or corroded battery terminals will not allow the correct amount of current to flow to the starter motor when the key is turned, as well as reducing the amount of power that is available to other components that require battery voltage to operate. Failed fuel pump: The internal combustion engine requires air, fuel and spark to operate, and the fuel pump moves fuel from the tank up to the fuel rail and injectors and into the engine. If the pump fails, no fuel will be pumped to the engine, and the vehicle will not be able to start. Failed ignition switch: A faulty ignition switch will prevent the vehicle from starting as it does not transmit the movement of the key in the ignition barrel, so the starter motor does not know when to engage. With advancements in technology, this is not as common of a fault in the modern vehicle as it was with older vehicles. How is a vehicle not starting inspection carried out? Our mechanics will inspect the battery, starter motor and other components and diagnose the issue that is preventing the vehicle from starting. 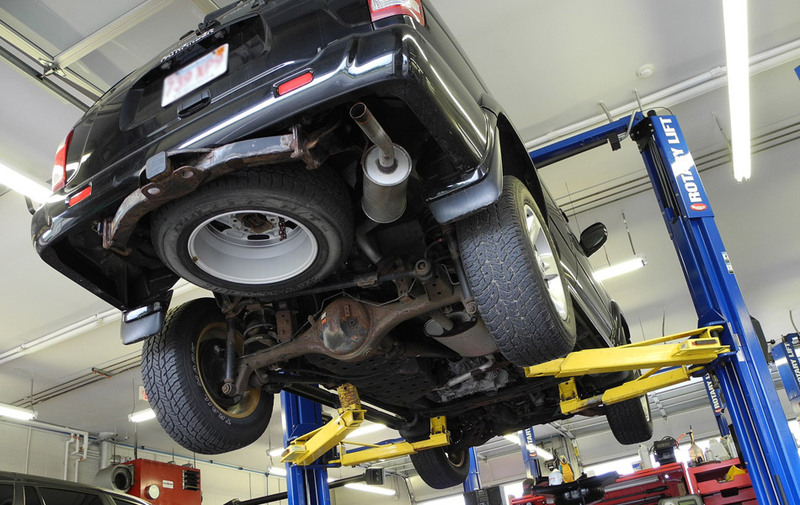 A quote will then be provided for any repairs that are required to return the vehicle to fully operational. Having a vehicle that does not start defeats the purpose of owning it – so it’s important to have your vehicle inspected as soon as possible to return it to operating condition and get you back on the road.